Bring the movie theater experience to your home or business with this commercial grade popper manufactured by Benchmark USA. 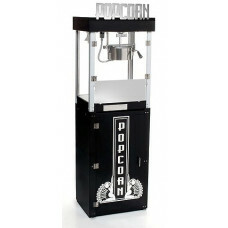 Inspired by the art deco architecture of the late 1920?s and 1930?s, these popcorn machines are ideal for home theaters. Its unique design enables it to be placed against a wall for a minimal space requirement while still providing an attractive visual impact. Ordinary popcorn machines have the graphics and cosmetic appeal on the back of the popper making them unsuitable for wall placement. Features The 6 oz Metropolitan poppers will produce 127 quarts of popcorn per hour. The inner kettle is constructed of thick gauge anodized aluminum for maximum performance and easy cleaning. Aluminum provides the best heat transfer of any ?cookware approved alloy while the 20 mil thick anodizing armors the kettle for durability and provides a super-slick surface for easy cleaning. The kettle jackets are made of plated steel for corrosion resistance and easy cleaning. Metropolitan poppers have a 50 watt heating element in the base / deck to keep popped corn fresh and warm. Since heat rises, bottom heating is preferred to heat lamps that only heat the top layer of popped corn. The heated warming deck will keep popped corn at the ideal serving temperature for long periods of time. The warmer is necessary for situations that require that popcorn is available on demand. You won?t have to worry about biting into an un-popped kernel with the Metropolian's old-maid drawer. The perforations in the bottom aluminum tray allow the un-popped kernels to fall into the drawer leaving only fresh and fully popped corn in the holding bin. Simply rake the popped corn with a scoop and the old-maids fall through the openings. Metropolitan poppers are designed to be simple to operate making them ideal for locations that have multiple operators. The master switch turns on the warming deck and the interior lamp. The kettle switch turns on the agitating motor and the kettle heat for a popping cycle. For safety, the kettle switch will not operate without the master switch in the ON position. The optional pedestal base provides storage for all of your popcorn supplies while placing the popper at the ideal operating height. 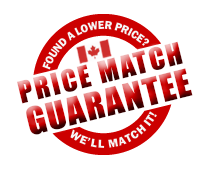 This cart has 4 wheels to maneuver easily.We are the only AUTHORIZED CANADIAN DEALER located in CANADA in CANADIAN DOLLARS, DUTY FREE, NO CUSTOM FEES or BIG SHIPPING FEES.